This is Emily from the Classy Little Podcast. I wanted to apologize for ending the podcast so abruptly after a very long hiatus. Thank you to all our listeners and supporters -- it was really an amazing year of podcasting we’ll never forget. And you can find me on my new podcast called The Story Behind, which is similar to the Classy Little Podcast, as far as finding out information about a new topic every week, but it’s much more specific. 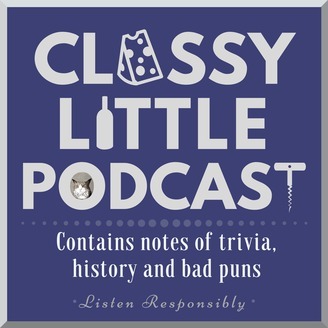 The format is much shorter than Classy Little Podcast -- these are bites-sized episodes that can fill the 5-10 minutes here and there, or save them up and binge-listen as you please. 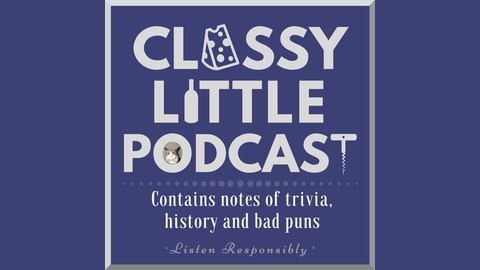 There’s no wine and cheese, unfortunately -- but, then again, one of the reasons Classy Little Podcast is no more is that I haven’t been able to enjoy wine or certain cheeses for about four months now, and I have another five months to go with no wine. But, despite what other podcasters may say, babies aren’t podcast killers. But doing shorter episodes means I’ll have less editing and production work, as well as a chance to put out two episodes every week. So, I can leave you here with a final farewell from the Classy Little Podcast and you can skip ahead to your next podcast, or you can keep listening for the first episode of my new show, The Story Behind The Theremin. If you like what you hear, please subscribe on iTunes, Google Play Music, Stitcher or your favorite podcast app. And find more information at TheStoryBehindPodcast.com.